Carterton District Council is a proud supporter of those young at heart in our local community. There are many local groups to join and activities to participate in providing opportunities to connect with others sharing similar interests and hobbies. A few are listed below or you can visit the Carterton Information Centre to find out what else is available. The strategy outlines the way in which the Councils will work together to improve and integrate their work for our older people. Extensive local research and consultation was undertaken as part of this process, and the Joint Councils look forward to ratifying the strategy in May. If you’d like to find out more about Positive Ageing Strategies in New Zealand and internationally, click here. 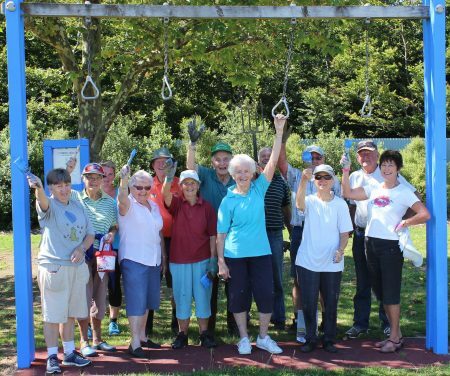 The Carterton Friendship Club is a community group of active retirees who enjoy regular opportunities to keep their minds active, expand their interests and enjoy the fellowship of new friends. The club meets on the last Tuesday of each month at 10am at the Carterton Events Centre (gather at 9.45am). New members are welcome. More information is available by contacting Jeanne Emery, Ph 06 379 5444. The Library have a Book Club that meets on the last Monday of each month 10.30am – 11.30am at the Carterton Events Centre to read, understand and discuss books, make new friends and socialise. Tea and coffee provided – just a koha please. A Home Service is also available for members who are physically unable to visit the library. This is a free service that delivers library items to homes either as a short term service for those recovering from an illness or operation, or as a long term service. The Fully Grown Ups webpage provides useful information about services and opportunities for wellbeing. More information about all library services is available by visiting the library, 50 Holloway St, or Ph 06 379 4080, email cartertonlibrary@gmail.com or through their Facebook page. Book Club members meet on the fourth Friday of each month at 1.30pm at St Mark’s Hall. More information is available by contacting Sue Burns, Ph 06 379 6506. The Carterton Film Society Sunset Cinema shows a fantastic range of international and local films at the Carterton Events Centre. Come along to see exhilarating, thought-provoking and riotously funny stories that Wairarapa film-fans can all share together! Movies begin at 7.30pm with doors opening at 7.00pm. Drinks and snacks are available to enjoy before the movie. More information is available from the Sunset Cinema website. Ten Minute Bites at the Heart of Arts Gallery offers the opportunity to hear from artists sharing their knowledge and experiences. Held at 12.10pm on the 1st & 3rd Wednesdays of each month at 47 High St, Carterton. Club Carterton is the home of Carterton RSA and offers a warm friendly environment, excellent service, competitive prices and a wide range of facilities and activities. All new members, guests and affiliated members are welcomed. There are many events and weekly activities held at the Club including housie, mahjong, card games, darts, pool, and snooker. More information is available from the Club Carterton website. The Senior Citizens Hall is located at 150 Main St opposite Wild Oats. Activities, cards and games are run on Fridays 1.30pm – 7.00pm. Age Concern is a charitable organisation dedicated solely to people over 65. They promote dignity, well-being, equity and respect and provide expert information and support services in response to older people’s needs. They are active and vocal on relevant issues and work to ensure older people stay connected with their family, friends and community. Age Concern Wairarapa offers many services including an Accredited Visiting Service to socially isolated older people in their homes. There are also social trips to shows and events, and activities including choir, aquarobics, writing group and speakers. A mobility scheme also assists with transport. More information is available on the Age Concern website. Seniorline provides information for older people to make decisions about staying at home, retirement villages, home care, day care and rest homes. SeniorNet brings older adults and technology together in a friendly, fun and stress-free way. It’s for people over the age of 50 who’d like to learn more about technology and what it can do for them. SuperSeniors website is run by the Office for Seniors through the Ministry of Social Development and acts as a gateway to information and services for seniors.